Tune in next week for Chicago Fire Department Captain Joel Burns and his story! 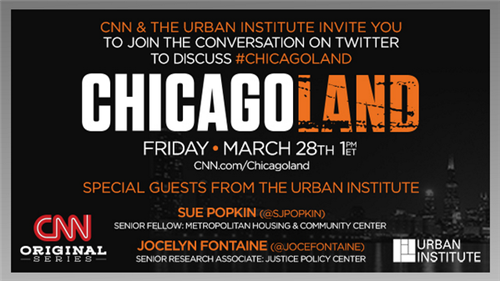 #Chicagoland @cnnOrigSeries Not enough about youth energy and voices #ltab2014 Maybe next week? Thanks for tuning in tonight for #Chicagoland !! Join us on Sunday for new #DeathRowStories at 9PM EST - we'll be live tweeting!! What is it like to grow up in Chicago?